The Butler Assistive Technology Room provides private self-service round-the-clock access to a state-of-the-art space with software and hardware to support academic activities. Welcome to the Butler Room! Interested in learning more or have questions? Contact us at libraryaccessibility@pobox.upenn.edu. Located on the ground floor of the Van Pelt-Dietrich Library Center and a collaborative effort between the Weigle Information Commons and the Weingarten Learning Resources Center (VPUL), the Butler Room is reservable online. After confirming your reservation, you can pick up the room key at the Van Pelt Circulation desk. We'll also consider special requests for recurrent bookings. 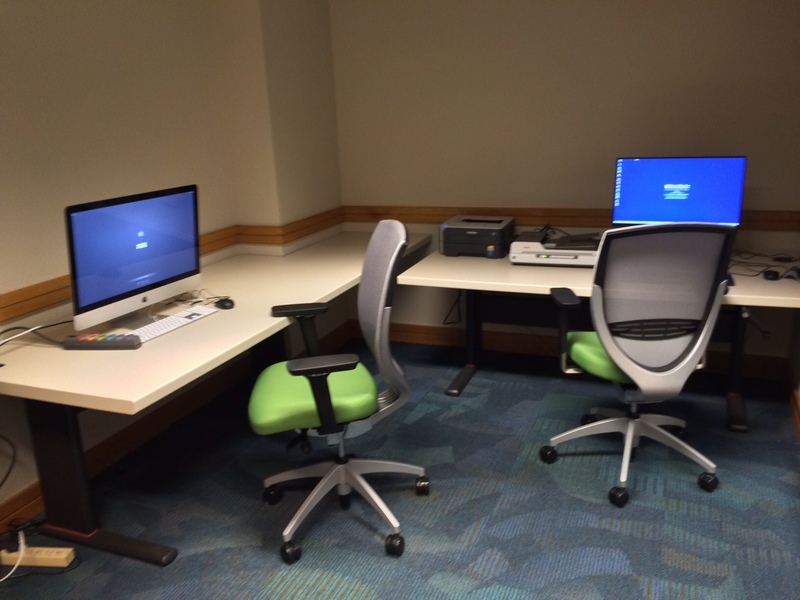 The Butler Room includes an iMac and a PC desktop, a scanner, assistive software and a video magnifier. Text-to-Speech: JAWS is a powerful screen reader that works for most PC computer applications. Convert and edit your documents without retyping using OCR software using Adobe software.